Check out Janey’s interview witH Notable Publicity! -I think I came out of the womb with a piano and a microphone in hand! Kidding! But I did have a song in my heart. Ever since I can remember I loved to sing. The best Christmas gift I ever received was when Santa brought me a 25-key toy piano when I was just three years old. I can still hear how it sounded and see the pastel colors that were above the keys. It was a miniature grand piano! I wish I still had it today. I played it every chance I got! - It’s amazing how childhood memories can have such an impact! I’m the same! - I started private classical piano lessons with Virginia Reinecke at age 5 and continued studying until I was almost 18. Ms. Reinecke was an exceptional teacher who had me playing Debussy, Chopin, Beethoven, Bach, all the greats, but she also encouraged my writing and would devote a small portion of my lesson to hearing my latest piano compositions. - Were you more interested in classical music than pop? -I also had a love for pop music and so, at age 15, I joined a band where I played keyboards and sang lead vocal. We played on weekends through my high school years. It was a lot of fun. After graduating from high school, my serious training shifted to studying classical voice. I got my BM in Voice at Indiana University’s School of Music, now called Jacobs School of Music, studying with operatic greats, including bass, Rossi Lemeni and soprano Eileen Farrell. It was also in college that I was exposed to jazz through my then boyfriend, jazz pianist, Joey Singer. My eyes were again opened to new music, which was incredibly exciting for a blossoming musician. Since those beginnings, my professional music career has tapped all of my musical influences; classical, pop and jazz, both as a writer and as a singer. Check out Janey's beautiful new single He's the Moon In Spain, taken from the album Beautifully Broken. Janey's new album, “Beautifully Broken” is out now for worldwide download on CDBaby, iTunes, Amazon, and Google Play. Click HERE to buy the album. “He’s the Moon in Spain” is also available for worldwide download on CDBaby, iTunes, Amazon, and Google Play. It is the first single from her newly released album. Janey has also written and produced an entire instrumental CD for Bulgarian violinist, Desi Kondova. Stay tuned for more information regarding the release of Desi's CD. “Letting Go,” co-written by Janey, Bruce Gaitsch, and Jason Scheff, was released by Swedish band Blue Desert, featuring Tommy Funderburk & Bruce Gaitsch of King of Hearts. 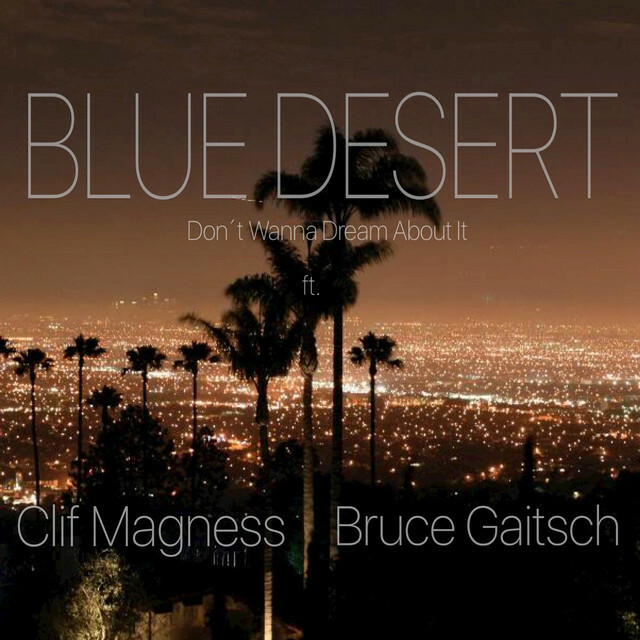 "Don’t Wanna Dream About It,” co-written by Janey, Bruce Gaitsch, and Joseph Williams was released by Swedish Band Blue Desert, featuring Clif Magness on lead vocal. Janey's song "Am I Losin' You" is the first track on Norwegian rock singer Issa's new album, Run With The Pack, The album was released internationally by Frontiers Records and Avalon in April of 2018. For the full Heavy Paradise review CLICK HERE. For the full Online Hard Rock review CLICK HERE. OneGenAway is a non-profit organization based in Franklin, TN whose mission is to feed the hungry of TN. For every dollar raised, OneGenAway supplies 16 dollars worth of food. On September 27th, 2016 an incredible cast of musicians and performers (Peter Cetera, Charlie McCoy, Michael Lington, Bruce Gaitsch, and Keith Carlock...) joined forces to give a musically diverse concert to a packed house at the Franklin Theater. Together, we raised over $30,000 in ticket sales and donations, which translates to over $480,000 dollars worth of food for the hungry. You can learn more about One Gen Away at their website. In February of 2008, Janey began singing with George Benson for his Nat King Cole Tribute Concerts. From the Walt Disney Concert Hall in Los Angeles, CA with Patti Austin to Jazz at Lincoln Center in NYC, NY with Winton Marsalis, Janey was the featured duet partner with George, singing the duets "Unforgettable" and "When I Fall in Love" as well as serving as his lead background singer on other Nat King Cole favorites. In 2009, Janey joined George for his numerous U.S. dates and summer European tour of jazz festivals and concert halls, including the Royal Albert Hall in London, the Palais des Congres in Paris, the North Sea, Montreux and Umbria Jazz Festivals, even venues in Istanbul and Monte Carlo. In 2010, Janey continued the "Unforgettable" tour in Cape Town, South Africa, Montreal, Canada, Sydney, Australia (for 3 sold out nights at the Sydney Opera House) and 3 cites in New Zealand: Christchurch, Wellington, and Auckland. In March of 2011, Janey joined George for his Nat King Cole Tribute Concert in Jakarta for the International Java Jazz Festival and in November of 2011, Thanksgiving weekend, Janey sang with George 3 sold out performances at the Kennedy Center in Washington, DC. These concerts continued over the next three years; including sold out performances at the Sydney Opera House as well as concerts in Rabat, Morroco, Tasmania, and the Hollywood Bowl in Los Angeles, CA. In November of 2014, the Nat King Cole Tribute Concerts finally came to a close. Janey cherished her time on this tour and is honored to have worked alongside the great George Benson. Lara Fabian's Le Secret is now available worldwide through iTunes. Janey wrote 14 songs with Lara on this amazing CD. Please check it out. Click image or here. Warner Music Italy released 'Essential Lara Fabian' February 24th 2015. It includes two of Janey's songs from Le Secret, "La Vie Est La (Remix)" and "I Am A-WA". Janey, Bruce Gaitsch and Michael Sembello, together known as The Bossa Nova Hotel, have had the theme song for the current TV show LIFE in Japan since 2012. Check out the promotional video for the show, featuring "A Day In The Life Of A Fool" from their CD Moon Island by clicking on the image to the left.